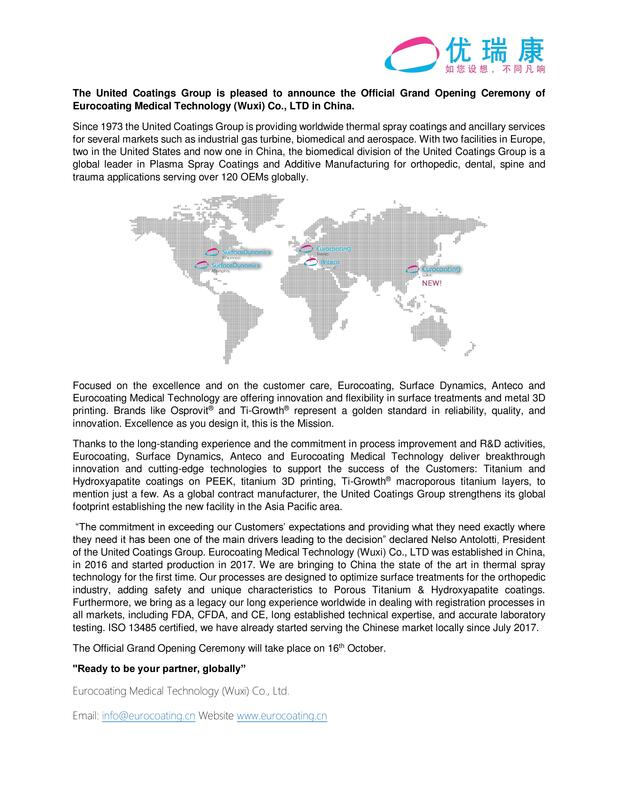 United Coatings Group is glad to announce the Grand Opening Ceremony of Eurocoating Medical Technology. With facilities in Europe and United States, Eurocoating is now expanding its market in China! Find all the related information in the flyer below.